Hi! Welcome to my post for today's Sneak Peek Sunday. 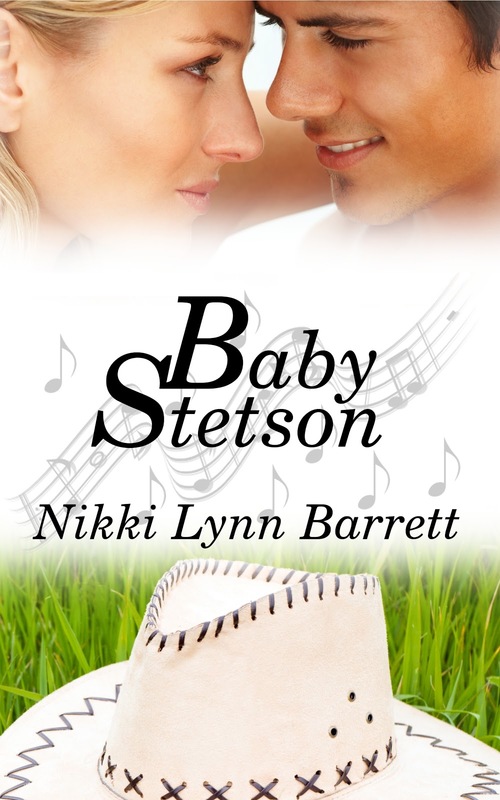 I'm going to be posting an excerpt from my upcoming release, Baby Stetson. Left in a Stetson hat, on the steps of the local bed and breakfast, Avery Callimer came into the world on a wing and a prayer. Raised by loving adoptive parents, she's never lacked for love...only the knowledge of her past. By day she works the Inn, but by night...Avery comes alive as lead singer in a band. Life was good...stable, until new guests blew into town. Lucas Bennett is one such stranger. Drifting from one mess to another has left him jaded. Doesn't matter the dramas are never his doing. Giving it one last shot to make a fresh start lands him Harmony's Echo, Texas and smack dab in front of the tantalizing Avery. Despite his best efforts to ignore the burn Avery's ignited within, he's intent to keep his distance. Secrets have followed him. Secrets he doesn't want Avery to know. Each time they're near the other things heat up like a brushfire on a dry Texas prairie. But maybe, after the dust settles and the smoke clears, love can bloom with a fresh start. Lucas is not the only stranger to come into Avery's life. Today's peek will give you a glimpse of someone else that has come to meet Avery. The bell jingled, signaling someone coming in. Avery turned around to face the desk and put on a happy smile as the middle aged man walked up briskly to her. " HI! How may I help you? "Avery asked, feigning cheerfulness. The man studied her for a second, his jaw slack, eyes full of curiosity. He had tan skin, a faint hint of a mustache and beard, and his sandy brown hair kept short. He stood straight, at a little over six feet tall. His clothes were casual, wearing blue jeans and a plaid long sleeved shirt that were tucked in. “Do you have any availability for about week or so?” he asked in a gruff tone. “Sure do. Is it just you?" Avery asked, pulling up the registry on the computer screen. “Name? And I'll need to see a credit card and identification, please. Oh, and here's something you'll need to sign. “Rodney Morris.” Two cards were shoved across the desk. Avery blinked, took in a sharp breath. "Excuse me?" Her head whipped up, staring at him. What did he just say that name for-? Oh my God. It's him. Curious? Well, tune in for next time! Baby Stetson will be available this month! Thanks for stopping by. I hope you'll check out some of the other great excerpts featured on this week's Sneak Peek Sunday. Nice job! Anxious to see what happens! Congratulations on your latest book, Baby Stetson!